9:30am - Doors Open! Hot coffee and conversation with your fellow beeks. 10am - Noon: Morning Session - Reading the combs: Understanding bee biology over the course of a season. A summary of his series “Understanding Colony Buildup and Decline.” By acquiring a better understanding of the biology of bees, nutrition, parasites, and pathogens over the course of the season, and by learning to "read the combs," the beekeeper can then make better informed management decisions adapted to his/her particular situation. Noon - 1pm: Lunch break! The CupBop Koren BBQ food truck will be on site! 1pm - 3pm: Afternoon Session - Small-Scale Queenrearing. Every beekeeper should experience the joy of rearing daughters from their best queens! In this presentation Randy will show step-by-step queenrearing techniques for the hobbyist through small commercial beekeeper. Tips from several decades of experience. 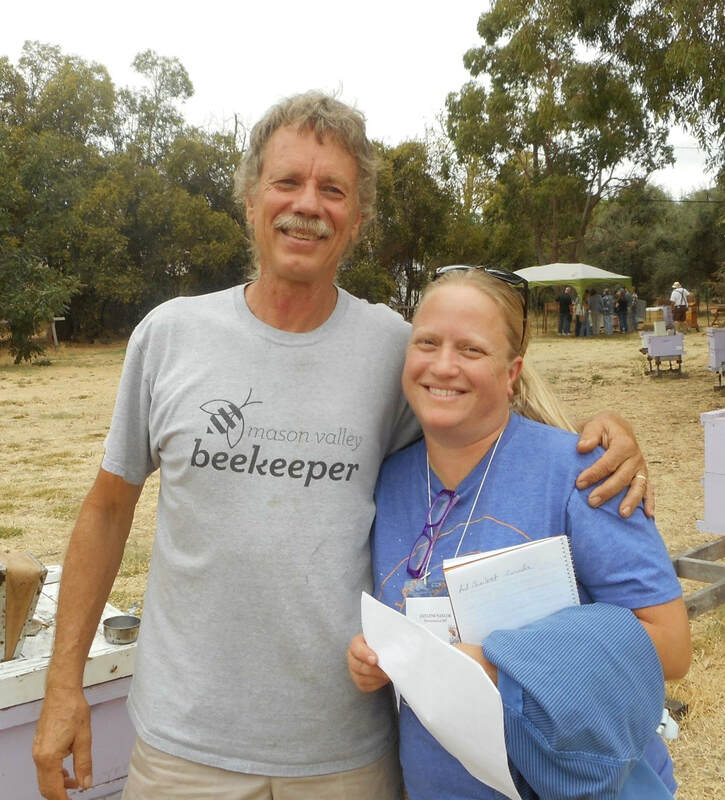 Who: Randy Oliver, biologist and beekeeping extraordinaire. Please visit his website http://scientificbeekeeping.com/ if you haven't already. What: Randy Oliver will be in town specifically to visit US, the Treasure Valley Beekeepers club! Where: The event will take place at our normal monthly meeting location, the Idaho Outdoor Association Hall at 3401 Brazil St. in Boise. When: Saturday, December 2nd from 10:00 am until 3:00 pm. Food truck will be onsite for lunch break. How much: Suggested Donation of $10 to offset travel and hosting costs for this event. lick on The Rules for what you need to know.